The First Ceramic Ever Developed Specifically for Guide Ring Applications. For decades, the rod component industry has struggled with ceramics adapted from other industries; abrasives, insulators and coatings have doubled as ”guide rings” since the mid 60’s. Now, for the first time, KYOCERA®, the world leader in ceramic engineering, has joined with Fuji’s design team to examine guide ring inserts with a fresh perspective; to start not with sandpaper or electronics in mind, but to reinvent guide rings with a laser focus on what guide rings should do. As expected, such a powerful alliance has resulted in not only a guide ring formulation that shows superior performance, but one that has also met the challenge of optimizing the deep pressed technology Fuji® has perfected over almost two decades of development. In short, Fuji® and KYOCERA® have not only created a better ceramic, they have created a better ceramic that maximizes Fuji’s existing deep-pressed technology, resulting in a lighter, stronger, more durable guide than ever before. TORZITE® rings have proven superior to other ring materials in ways that allowed a complete re-tooling of what a guide ring should look like and how it should perform. The extra strength, fracture resistance and polish achievable with TORZITE® led to larger inner diameters, smoother finishes, more forgiving cross-sectional profiles and unmatched heat dissipation - all of this in a ring that deep presses with more precision and durability than any previous ring. 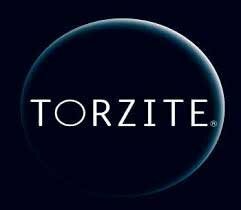 Welcome to the first ceramic born to be a guide ring - TORZITE®...available exclusively from Fuji.